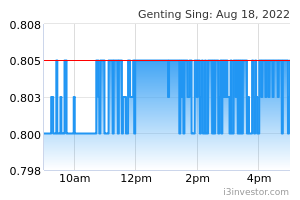 Genting Singapore Ltd (G13.SI) is a company that is publicly listed on the Main Board of the Singapore Exchange Securities Trading Limited on 12th December 2005 and has been a constituent of the FTSE Straits Times Index, a.k.a blue chip status ever since. Their core business involves gaming and integrated resort development across Singapore, Australia, Malaysia, Philippines and United Kingdom. One of their flagship includes our very own major icon in Singapore - The Resorts World Sentosa (RWS) which is one of the largest integrated destination resorts in Asia and boasts world class attractions such as the casino, hotel resort, Universal Studios, S.E.A Aquarium, Adventure Cove Park and many more attractions. RWS has been named "Best Integrated Resort" since 2011 for eight consecutive years at the TTG Travel Awards which recognises the best of Asia-Pacific's travel industry. Rewinding back the Winning History Bid of "RWS"
On 10th Oct 2006, Genting International and Star Cruise Ltd consortium submitted a S$5.2 billion bid for the RWS integrated resort, which was successfully awarded to them. The commencement of the operations only started in 2010, so there are 4 years work in progress between 2006 and 2010 where they had to incur large amount of capex each year. This was after their unsuccessful bid made to the Marina Bay integrated resorts in 2005, which was subsequently awarded to Marina Bay Sands and operated by LVS today. Casino, like most other industries, faces a cyclical demand as well, which can be due to competition, location, tourist arrival and regulatory requirement. For instance, the casino regulation in Singapore requires locals and SPRs to pay a levy before being allowed to enter. This means most of the demand will come in from external and tourists arrivals will have an impact on the revenue. The key market is obviously the Chinese. They've got the volume and the money to spend. For the past decade, their revenue has ranged from between the $2.5b to $3.2b range while its gross margin has stabled at about an average of 40%. The exception is during 2015, where there were a drop in the VIP demand in 2015 and some issues with the collectibles which pushes the gross margin to its record low. They came up with some credit extension strategy in a boost to pull demand for the VIP segment back and you can see volume coming back up from 2017 onwards. AR Collectibles have increased and they have taken the risk to let loose their credits more than previously. The key is to watch the bad debts but we can only check once the Annual Report is out. VIP market share is up 47% in FY18, from 37% in FY17 and VIP volumes grew 21% with a better win rate of 3.03% in FY18 vs 2.93% in FY17. That is the small amount of win-rate the casino needs on a large amount of volume coming in. Out of the $2.5b in revenue, VIP Gross Gaming Revenue (GGR) contributed $1b, up 24.9% from $827m in previous year. 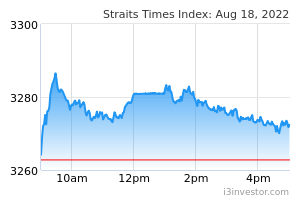 You can see how important this segment is to Genting. Finance costs has a correlation with the debts they have (more on it below) so you can see as they tried to pare down the debts the financing costs will drop accordingly. The company demonstrates a strong cash flow generating ability due to its short working capital requirement and nature of services they offer. They spent a very low amount of maintenance capex each year, visibly very low on property related because the depreciation is almost double the capex amount in each year, so most of it should be related to small renovation or aei maintenance. You can see the past 4 years the fcf has actually exceeded $1b per year. This means for every 5 years of operations, they can actually buy up one RWS resort. The ROI is crazy and you can start to see why casino operations are so lucrative to all bidders. They'd rather bid higher and win it than play safer but not win it. It's a lucrative business with high capex upfront but low maintenance later, and based on my friend in the industry it's not too difficult to get the license renewed once they've won the earlier bid. FCF Yield is at 8.3% currently based on the share price of $1.03. Over the past few years, the management has rewarded investors well by increasing the dividends payout from 1 cents in 2014 to 1.5 cents in 2015 then 3 cents in 2016 and 3.5 cents from 2017 onwards. They can well afford to pay out more and I foresee them increasing the payout once the results of the Japan bid is over and there are more certainty of the situation. In terms of the balance sheet, they have never looked better and healthier than they were since they started listing publicly. Cash has ramped up to more than $4b while debt is close to $1b now, which translates to a net cash of about $3.3b. They have also redeemed the perpetual bonds which they issued in 2012 and was redeemed back in 2016 for an amount of $2.3b. I have included the perpetual bonds to be more conservative in the calculation even though they are treated as an equity. The future growth story of Genting lies upon their expansion into the Japan market and the successful bidding for the Japan casino integrated resorts, which are expected to be in three potential areas of Yokohama, Osaka and Hokkaido. That's essentially where most of the Chinese are and also is in closer proximity to the Korean peninsula. So far, they have also clarified and there are also no rules from their government to ban locals from entering the casino, unlike the Koreans and in Singapore, where locals are banned from entering and has to pay a hefty levy just to enter. With the recent bid up, Genting has beefed up its subsidiary, headcount and opened offices in various parts of Japan to get ready for the bidding which the RFQ is expected to be in the second half of FY19. The award is most likely be announced in FY20. When Is The Best Time To Enter? The valuations is attractive now so entering now won't be an extremely disastrous call. It gives investors a dividend of about 3.5% while waiting for the big growth story to happen. So we draw up a few options available. If they are successfully awarded, we can expect the share price to price in the good news and the share price should move up quite a bit from here. Perhaps getting in right after the news to ride the trend up is one option. If awarded, I do not expect dividends to be increased for the next 4 years as they will ramp up productions of capex which can range in the same level of $5b they won the bid for the RWS Singapore. Free cash flow growth should materialize as a longer term play once the new integrated resorts are ready and then dividends should increase accordingly. This is the thesis for a long term play. If they are not awarded, we can expect market to punish the share price and the fcf yield might ramp up closer to 10% (fcf yield is at 8.3% right now). With such strong balance sheet and fcf, it is likely they will then use the excess to increase the dividends payout and yield. This is my preferred and better scenario, for someone who's sitting on the fence. 4 years is a long time until the resort is fully operational. Until then, who knows we might face a recession and everything might get affected. The best scenario for investors is still a thesis play where Genting gets awarded, the company goes back into net debt position because of capex and opex, recessions set in which pushes share price down, FCF yield ramp up to above 10%, and then potentially 4 years later the forward FCF yield goes up to a potential 15%.